What is this crowd you speak of? While this modern life can occasionally feel a bit lonely, the reality is we all have a crowd. Like an enormous venn-diagram, we’re all connected to each other in some way: be it by blood, a common interest, a shared workspace or simply by walking down the same street at the same time. Here at PledgeMe we don’t ever shut up about crowds. The crowd you need to tap into to get your project running, to reach your goal and bring life to a dream. For us it’s a word that starts to look funny when we read it because we use it so often, but it certainly doesn’t lose its meaning. There’s a few different components making up your crowd. 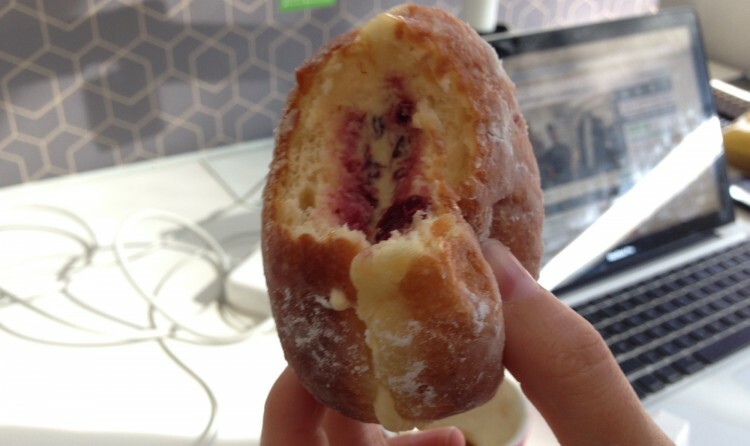 Let’s take a jam donut. Donuts are not only tasty and delicious, they work really well as a metaphor. Also it gave us an excuse to eat donuts for research purposes. 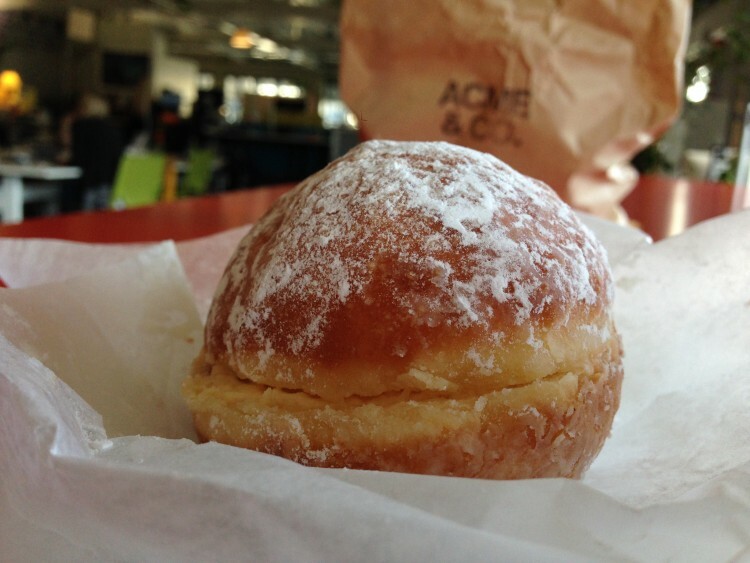 Donuts are delicious (and are a good metaphor for crowdfunding). Imagine yourself as the jam. You’re right in the middle, with an idea. Jam on its own is ok, sure, but is made so much better with some support. 1. Cream: The bit immediately surrounding the jam (you). Making the donut that much more delicious, you can’t really have jam without cream to complement it. These are the people you first mention the project to. The ones you run the idea past to gauge just how crazy it might be, test subjects you speak with before you’ve even filled out the pitch submission. They might be your friends, family, or respected people who terrify you but give you confidence to go through with it. Your immediate crowd are critical: talk them through the whole process of submitting and publishing the project, and make sure they know when it goes live. They’ll have their trigger fingers ready to pledge immediately and give you momentum right at the start. Writing a list of these people and contacting them directly is the best plan of attack (and as a bonus you can pat yourself on the back for being super organised). Maybe even get them together, give them donuts and have a pledging party. 2. Pastry: A donut wouldn’t be a donut without the sweet bready bit holding it all together. People come for the jam and cream, but don’t get very far without pastry. This is where social media comes in. All your friends on Facebook, your followers on Twitter and Instagram: these people have at least some vague idea of who you are and what you’re about. They are by no means less important than your immediate crowd, they keep the ball rolling with pledges. When you’re making donuts, if you don’t get this bit right then it might all fall apart. The same goes for a crowdfunding campaign. 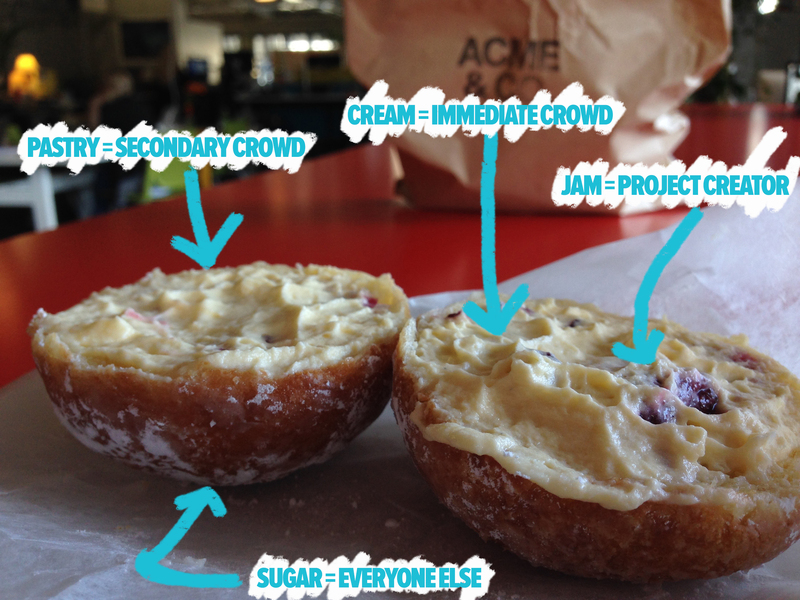 As you can see, the simple jam and cream donut is much more powerful than we first thought. 3. Sugar: The literal sugar on top, pushing you over the edge with delight. The magic of the internet is that messages can be shared super easily. These are the people you met once at a party, worked with briefly, or possibly don’t even know at all. But your immediate (cream) and secondary (pastry) people are friends with them, work with them, or buy coffee from them. When your project is shared on Facebook or Twitter or Instagram (or LinkedIn or Pinterest or Slack), these metaphorical sugar people see it. Their interest is piqued. But how do you get them to pledge? By having a video (bonus points) and really great content. This is the crowd who might not know you, but help get your project over the line. Convince them to jump on board by being the most excellent you you can be. We know you are, and this part of your crowd have the potential to move through the layers and end up as part of your immediate crowd. Who knows, they may even be just the right person to make some extra magic happen. Without one of the four components, a donut wouldn’t quite work, nor be quite so delicious. The greatest thing about a donut is eating it, and for the purposes of this metaphor, appreciating how your crowd comes together to make a successful whole. The perfect don… crowdfunding campaign. Mmmmmmm donuts. Hi Tash. I really like donuts. But I’m not sure you know what a donut is. Donuts are circular pieces of “dough” that look kind of like a basketball hoop. Now if you use this as an example of crowdfunding the project creator is nothing, their secondary crowd is nothing — thank Betsy, because I’m lactose intolerant — and the secondary crowd is everything along with the sugar on the top. Are you saying that it doesn’t matter who does it, as long as there is a hole to be filled? Also, will running multiple crowdfunding campaigns cause diabetes? I am worried because my doctor said I should cut back on donuts.